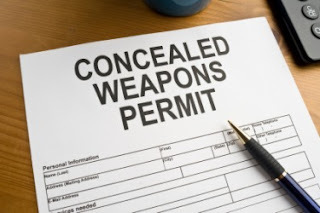 As a Firearms Instructor, I often get asked by many people how long does it take for the respective county clerk's offices to process Michigan Concealed Pistol Licenses (CPL) Applications. My answer to such inquiries is that it depends on that respective county clerk's office, their procedures, and their allocated resources. In fact, many county clerk offices will tell applicants that it will take two to three months. As a purely speculative exercise, I recently asked my friends on Facebook to tell me how long it took for them to either receive their CPL or their latest CPL renewal after submitting their application. Mind you, that I am fully aware that this study is not scientific; it is merely reporting information that was submitted to me. I was not surprised that CPL applications outside of the Tri-County area were lower than any of the three Tri-County members (i.e. Wayne, Oakland, or Macomb). Those counties get the "lion's share" of CPL applications, so a slower response time was expected by me. However, the biggest revelation from my data hints that Wayne County processes CPL applications faster than either Oakland or Macomb. What do you think? Has Wayne County significantly improved their CPL Application processing times?